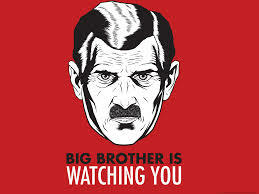 US Postal Service admitted that it has been tracking over 50,000 people monitoring what they mail or receive. This internal inspection unit of the US Post Office has been secretly monitoring the mail of Americans for use in claimed criminal and national security investigations. The degree of surveillance has clearly reached the level of George Orwell’s 1984 novel. Those involved may think the other guy is untrustworthy. However, this tactic constantly expands. Their own children will become targets as time goes on. Is this really the type of world you want your posterity to live in?